Ben Norton graduated from the University of New England in Australia – B. Rur. Sc. and PhD in Botany – and spent most of his career as a professor in the Rangeland Resources Department at Utah State University, USA. His professional interests revolve around grazing management and vegetation responses, assessment of rangeland condition and trend, and pastoral production systems in developing countries. He has worked on rangeland projects in the Middle East (Jordan & Syria); North Africa (Morocco & Libya); Sub-Saharan Africa (Nigeria, Chad, Ethiopia & Somalia); Namibia; South America (Brazil & Bolivia); and Central Asia (Tajikistan & Kyrgyzstan, where he is still active). 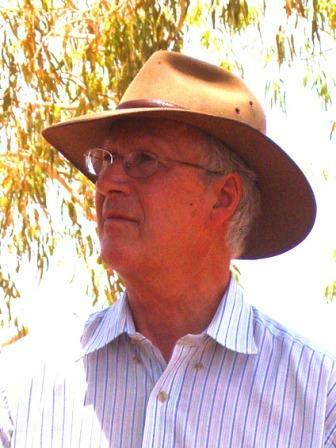 From 2001 he served as the Rangeland Scientist at ICARDA, Syria, and then directed the Centre for the Management of Arid Environments in Western Australia. In the latter role he became familiar with the EMU approach to landscape ecology and catchment recovery, and has applied those principles in other countries. His international activities included university curriculum development in Somalia, Libya and Tajikistan. More direct contributions to management have focused on rehabilitation of degraded rangelands and amelioration of erosion through more rational control of livestock grazing. His invited paper (McClymont Inaugural Lecture) delivered to the Australian Society of Animal Production in 1998 resolved the contradictory perspectives of researchers and producers regarding the benefits of rotational grazing. 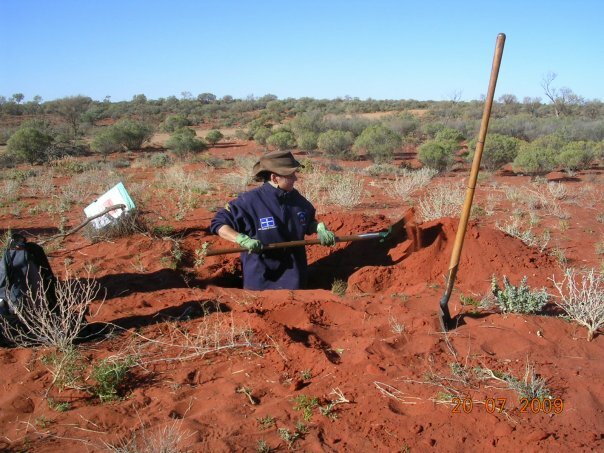 Janet has been living and working in the Lake Eyre Basin since 2004 when she moved to the SA Arid Lands to take on the position of Rangelands Biodiversity Support Officer with Greening Australia SA. Loving the landscapes and people of the outback, Janet’s commitment to creating positive NRM outcomes through awareness-raising and building regional capacity,catapulted her to a role with the SA Arid Lands NRM Board in 2007 as a Natural Resource Management Officer based in Coober Pedy. Janet supported Hugh Pringle working with land managers on the Ecosystem Management Understanding Project™, better known as the EMU™project, as well as providing NRM support to the Marla-Oodnadatta and Kingoonya NRM districts within the SAAL NRM region. As an environmental consultant with a focus on restoring natural landscape function, Janet’s dedication to positive NRM outcomes in the region continues to see her travelling long distances to connect with stakeholders. While some folks might see a barren landscape devoid of life, Janet knows and appreciates a landscape with extraordinary species richness, and is well known as a local plant identification guru. Janet is passionate about sharing her knowledge and highlighting the obvious indicators of both healthy landscapes and not so healthy landscapes. Mr Kuniberth Shamathe is a Namibian and holds undergraduate qualifications (Diploma and Bachelor of Technology) in Agriculture Management and postgraduates (Honours and Masters) in Agriculture and Natural Resources Management accordingly. He currently works for a Namibian NGO at the same time a partner of Understanding Management Ecosystem (UME) Consulting Services CC that is pioneering the introduction and expansion of Ecosystem Management Understanding (EMU™) in Namibia. Mr Shamathe was introduced and being trained by Dr Hugh Pringle on EMU™ applying it on Rangeland Rehydration (RR) projects in commercial and communal farming areas. Since then, Mr Shamathe actively involved in implementation of RR projects and training farmers, agricultural undergraduate students from Namibia University of Science and Technology (NUST) and officers from NGOs and government ministries.